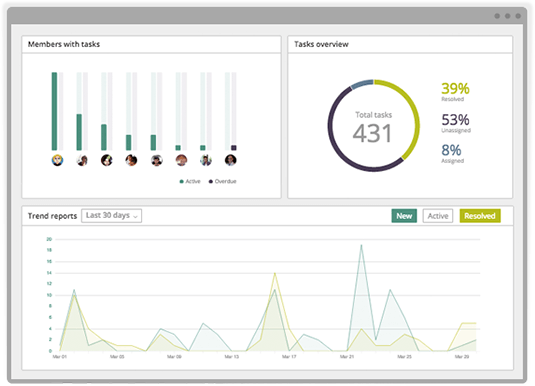 Is a project management app the answer? When a deadline gets missed, a crucial detail gets overlooked, or an essential email goes unseen, it might seem like getting your team on project management software will help. But there may actually be a better option: one that was designed specifically to help your team collaborate and communicate. For giant, complex projects, project management software is an excellent fit. But most teams focus on small- and mid-size initiatives. Sophisticated project management tools can be cumbersome for that kind of work. Redbooth is an easy-to-use, intuitive platform that makes collaboration easier, reduces wasted time, and empowers everyone to track their work more effectively. When most people think about project management software, they're thinking about increasing transparency and accountability. 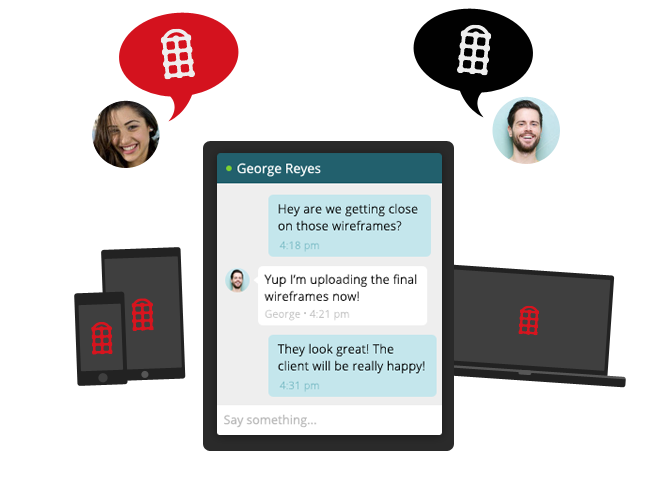 Redbooth does both, with an interface that’s simple for everyone to use (not just the project manager!). Assign any task, big or small, to a specific person and set a deadline. Adjust the date, mark it as “urgent,” or assign the task to someone else. Beautiful reporting analytics show you who has too much on their plate, how accurate planning estimates are, and more. Even teams with state-of-the-art project management software spend hours each day in email. With built-in enterprise chat, context-specific conversations, and HD video conferencing, Redbooth makes it easy for you to communicate in real time with your colleagues. Because ultimately, you don’t want to spend your time managing projects. You want to complete them and move on. 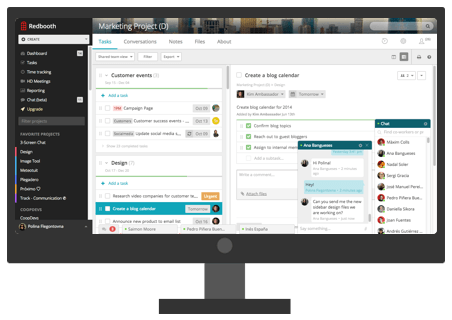 Redbooth takes you beyond project management. Start for free today and see why thousands of companies are using Redbooth as their online team collaboration solution.